Headspace reported a revenue north of $100M for 2018, contributing significantly to the growing $1 billion mindfulness industry. What started as an events company has evolved into a promising meditation and mindfulness venture. 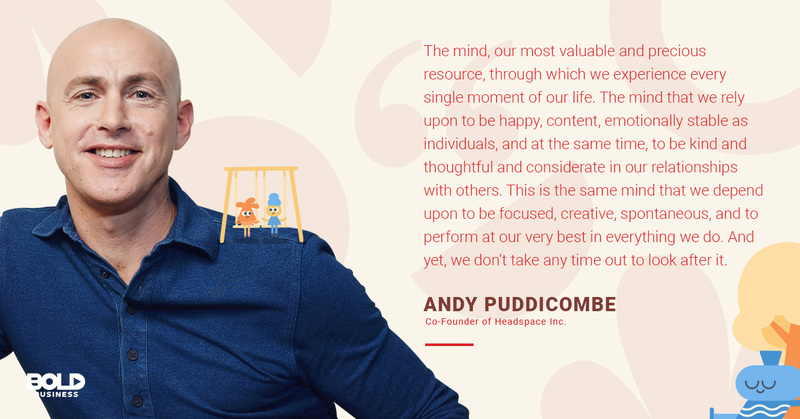 Headspace Co-Founder Andy Puddicombe discovered the healing powers of meditation, years before he built the Headspace meditation app with his co-founder Rich Pierson. In 1994, Andy Puddicombe embarked on a 10-year meditation journey across Asia, Australia, and Russia. Upon returning to the U.K. in 2004, they began their pursuit of making happiness and meditation accessible to everyone. Nine years since its incorporation in May 2010, Headspace meditation app is at the forefront of a mindfulness industry revolution. The Headspace meditation app is a cornerstone of the mindfulness industry. Meditation and mindfulness are fast becoming mainstream in the United States. In fact, according to a new report from the Centers for Disease Control and Prevention’s National Center for Health Statistics, the use of meditation increased to 14.2 percent in 2017 from 4.1 percent in 2012. 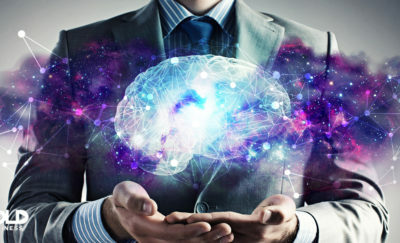 Concurrently, the growing interest in the practice spurred growth within the mindfulness industry. Meditation centers and studios are sprouting across cities, generating a revenue of about $730 million. Similarly, books, magazines, CDs and DVDs about meditation have contributed to $112 million in revenue. Websites, applications and online courses, on the other hand, generated more than $100 million in revenue. 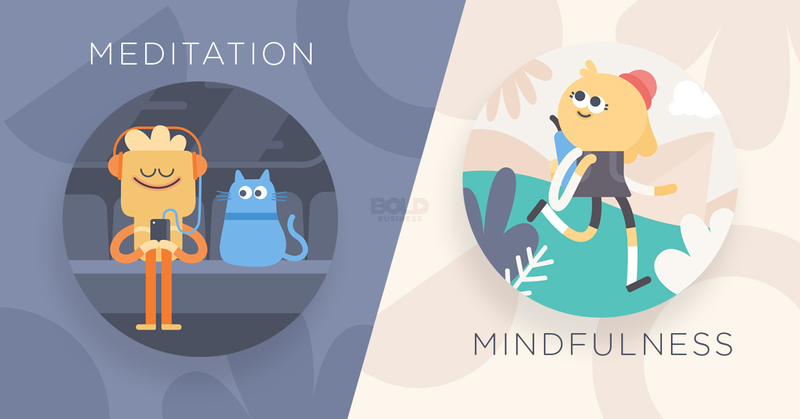 Indeed, there are meditation apps available and designed even to cater to children as young as 7 years old, like the Smiling Mind app, which was developed by educators and psychologists in Australia. Also, there’s the Aura app, a mindfulness app that is personalized by artificial intelligence and offers 3-minute micro-meditations. Such mindfulness industry offerings are available to the public today. Want to meditate? Want to practice mindfulness? The Headspace meditation app can be downloaded for free on iOS and Android phones. Need Some Space? Headspace Meditation App Got You Covered! Headspace is a guided meditation app that can be downloaded for free on iOS and Android phones. Users can download the app for free and use any of the meditation Basics. Within this trial period, users have access to the basics of meditation. The rest of the sessions can be accessed via a monthly or annual subscription or a monthly family plan. While there are basic guided and unguided meditations, the app also offers practical sessions on mindful eating, meditations tapping the benefits of walking, and sessions for anxiety-inducing moments like interviews, difficult conversations and even flying in an airplane. The charm of Headspace rests on the session packs that are organized to answer meditation needs for specific life circumstances. For instance, the Brave Pack includes sessions on Reframing Loneliness, Navigating Change, and Dealing with Regret. For parents looking to introduce meditation to kids, there is a host of meditation sessions available for kids with ages 5 and under, kids with ages 6-8 and kids with ages 9-12. 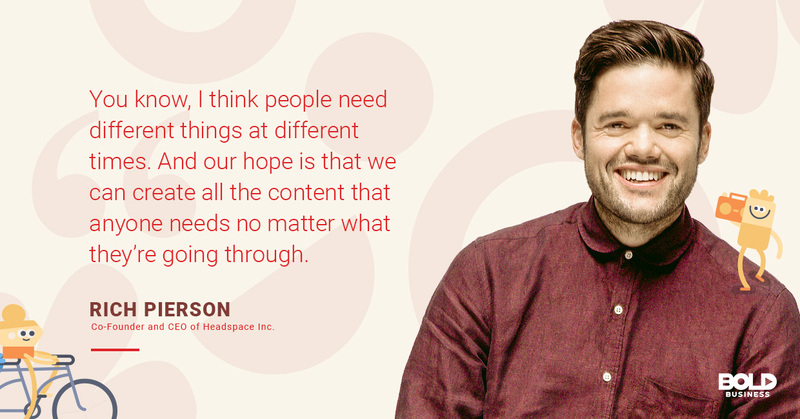 Rich Pierson talks about what they hope to achieve with the Headspace meditation app. With more than 1,000 apps available in the market—such as the MINDBODY app for those who’d like to incorporate relaxed mindfulness in their fitness routine or the Simply Being app, which nudges the user to meditate on regular intervals throughout the day and to relax by looking at the soothing images it offers daily—, the Headspace meditation app is certainly winning in the mindfulness industry. The meditation app secured a total financial backing of $75.1 million from investment luminaries like Spectrum Equity, The Chernin Group, Jeff Weiner, William Morris Endeavor (WME), Ryan Seacrest, Cash Warren, Freelands Ventures, Allen & Company, Jared Leto and Jessica Alba. Currently, Headspace is one of the leading meditation apps. This is based on user reviews, number of downloads, and the number of paying subscribers. Headspace has 45 million downloads and as of June 2018 over 1 million paying subscribers across 190 countries around the globe. Indeed, the Headspace meditation app is on a winning streak. The most recent statistics show that the Headspace meditation app has 30 million downloads and 1 million paying subscribers across 190 countries around the globe. And yet, Headspace is just starting. 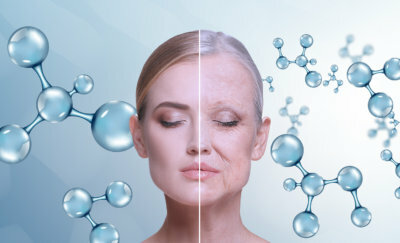 A subsidiary called “Headspace Health” which aims to treat a wide range of stress-related chronic diseases is in the pipeline. 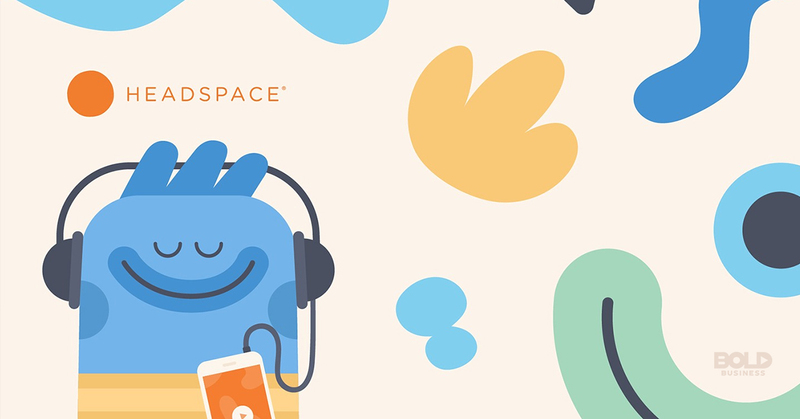 Aiming for Food and Drug Administration (FDA) approval by the year 2020, Headspace Health has started clinical trials on a suite of prescription-grade meditation tools. A partnership with Oyler Wu Collaborative will soon make Headspace available to more consumers. Meditation spaces in the form of phone booth-sized relaxation “pods” will be deployed in public places. 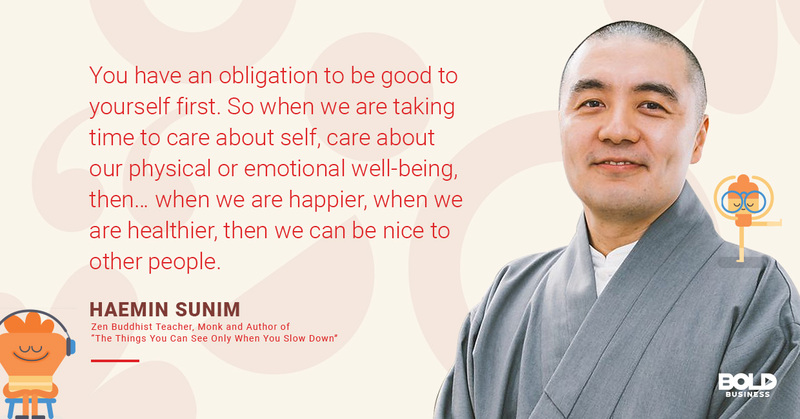 The mindulness industry would be nothing without the teachings Zen Buddhist teacher and monk Haemin Sunim and others who preach the sanctity of self. Despite the numerous available studies showing the perils of burnout, societies just can’t seem to slow down. When movement is the default state of humans—with most people proudly wearing their busy badges—it is easy to see why mental health issues and stress-related diseases are on the rise. Thankfully, with the current growing interest in mindfulness practices, meditation apps like Headspace are helping revive the art of being still.